It doesn’t matter where you are moving house or moving office to Finchley, if you are moving in London it is going to be stressful and you need all the help you can get. 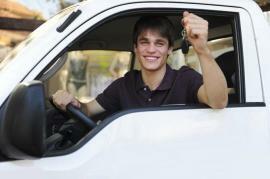 Moving is actually known to be one of the most stressful tasks one will face in life and that is understandable. It’s one of the most time draining, hectic tasks ever. Follow these pieces of advice and you can enjoy a simple and smooth move, without any problems along the way. When you are moving house and arrive on moving day, you’ll want all your essentials to be reachable. So pack an overnight back. Things like your mobile phone, passport, wallet, a change of clothes, toiletries and snacks should all be packed separately. Pack the items you will be using first at your new home or office in Finchley, N2 in a plastic box. This could be stuff like kitchen utensils and so on. At the end of a moving day, you are going to be tired and the last thing you want to be doing when you cook yourself dinner is trying to find the box with kitchen equipment. If you have run out of bubble wrap, another good thing to use for wrapping fragile items like crockery and ornaments is clothing. Socks are also great for using as padding – make sure they are clean! It does sound obvious but there are still many people who forget to do it. Labelling completely slips their mind. Well, make sure you remember it! It can be so stressful and frustrating if you arrive at your new home with lots of blank boxes. Where do you start is your first thought. So label each box to each room so that you can place the right boxes in the right rooms. It just makes everything easier this way. The day before the move, go to your new home or office and give it a good clean. If it’s been empty for a while, it’s probably dirty and dusty. Clean it beforehand and you can unload and unpack your belongings into a clean property in N3. If you have any odd screws or keys or curtain mounds lying around your home that you want to take with you, place them in sandwich bags and this will keep them safe and all in one place so that they don’t get lost. 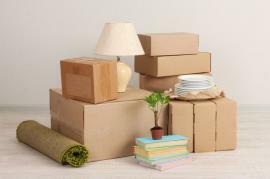 Cut down on the amount of cardboard boxes you are using by making the most out of storage equipment you already have, like your bags, plastic boxes, wicker baskets, laundry bins and suitcases. These are all great places to store and pack your belongings to move them to Finchley. If you have a fridge full of food and drinks that you’re not planning to take with you, don’t waste it! Give it away to friends and family. Moving day is going to be stressful enough and you want to make sure there’s somebody there to look after your children and pets. You could ask a friend or a family member for help. Relocating does not have to be stressful if you follow the advice above that will come in handy the next time you move to a new home or office in the N12 area. There are lots of things to remember so make sure you write it all down and stick to this list, so that your whole move goes well.